INVESTIGATORS say the Maryland teenager, who terrorized his high school used his father’s gun to shoot a girl he’d just broken up with and another classmate. Austin Wyatt Rollins, 17, was later killed when he traded shots with the school resource officer at Great Mills High School. Rollins’ alleged target, 16-year-old Jaelynn Willey, remains in critical condition at a local hospital. But a 14-year-old boy who happened to be in a hallway when Rollins opened fire was released after being treated for a gunshot wound to the leg. It was not clear how the teenager, who lived in Lexington Park, Maryland, got hold of his father’s gun or what kind of weapon it is. 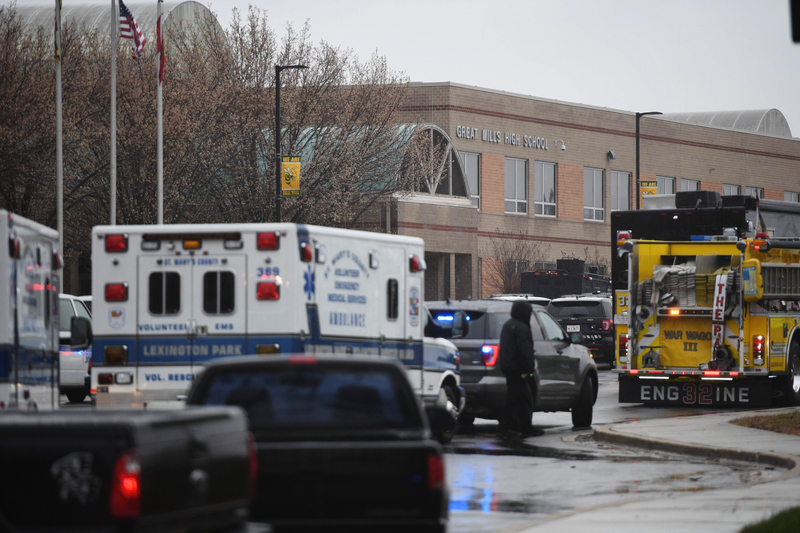 The Maryland shooting happened as a national debate is underway on how best to protect students from gun-toting attackers. It was rekindled by the Valentine’s Day massacre of 17 students and staffers at Marjory Stoneman Douglas High School in Parkland, Florida. The quick response of St. Mary’s County Sheriff’s Deputy Blaine Gaskill, who had been assigned to the school last year, stands in stark contrast to that of Parkland school safety officer Scot Peterson, who resigned amid reports that he went AWOL when the shooting started.